The Burlington Free Press reported yesterday on the latest innovation potentially “on the cusp of taking the ski industry by storm”—a non-Newtonian putty-like substance that “instantly stiffens into rock-like hardness” upon impact. After learning about this material in a classroom at Clarkson University, Cyrus Schenck, now 24, dropped out of college to develop skis that incorporate the material. His company, Renoun, recently won a gold prize at an international trade show in Munich, Germany. Its skis, which retail for $1,099, are available online now and will start retailing in brick-and-mortar this fall at Outdoor Gear Exchange in Burlington, Vermont. As reported by Bicycle Retailer this week, the online retailer CompetitiveCyclist.com is offering Strava users a chance to earn up to $40 a month in store credit. Thanks to a new promotion titled “You Ride. We Pay”, you can link up your Strava account with your store account and earn $1 for every hour of riding you record. 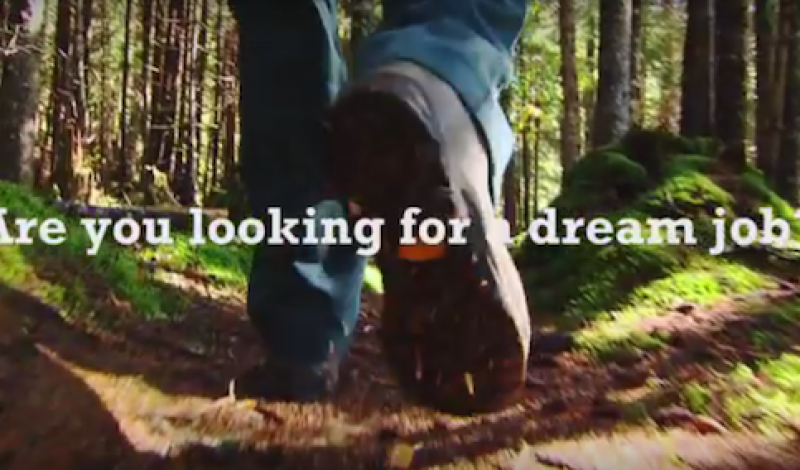 In other get-paid-to-play news, gear company Woods Canada is looking to hire two “Woods Explorers”—a five-month dream gig this summer that entails exploring the Trans Canada Trail’s some 17,000 kilometers of trails and “producing compelling content” about the journey. Hiking, climbing, paddling, portaging and swimming are all part of the job description. Other perks, in addition to the $20,000 salary, include: a $2,000 bonus for completion, all travel costs, accommodations, Woods branded apparel and a $300 weekly per diem to cover food, beverage and miscellaneous costs. Ready to apply? The deadline is April 17. Gizmag.com has the scoop on a brand new portable grill from GoBQ. Riffing off of foldable tents and chairs, the frame of the GoBQ is made of foldable, heat-resistant fabric. It purportedly cools twice as fast as metal for quicker pack-up and transport home. Gizmag points out that it isn’t necessarily the first light, packable grill, but it’s perhaps the best portable approximation of traditional charcoal kettle grills. After successfully raising more than $30,000 on the crowd-funding site IndieGoGo, founders Eric Goeken and Todd Zaroban promise to begin shipping product in August. 5280 magazine profiled a brick-and-mortar Boulder gear shop, Grasshaven Outdoor, highlighting its focus on the glamping crowd. Think bright, decorative dishware, glow-in-the-dark bocce balls, and colorful pop-up tents. Grasshaven is run by Dawn Bitz, the daughter of a serial small-business entrepreneur. Always clad in heels and frequently compared to Martha Stewart, Bitz left the corporate world behind to launch Grasshaven in January 2013.